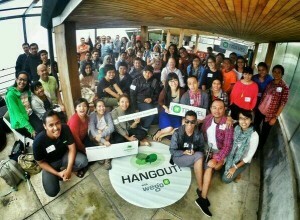 After a long long traffic on our way to Bandung (and in Bandung itself), we finally reached Maja House, #WegoHangout venue where we spent our fun Saturday afternoon gathering, eating and taking pictures. Maja House itself is a restaurant and bar serving local and western menu. Located in Jalan Sersan Bajuri, it’s now one of the most popular hangout places in town. 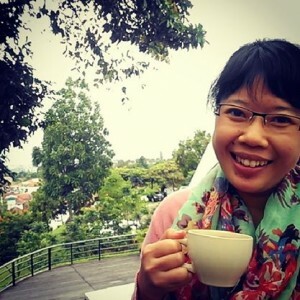 It’s located up the hill so guests can enjoy astonishing view of Dago area from their balcony. The ambiance was just perfect, even though a bit cold because it was raining. I’d recommend taking outside dining area rather than inside. A cup of afternoon tea? At #WegoHangout event, food was served in buffet style. Starving after the not-so-long-trip from Jakarta, we just attacked the buffet while doing networking session with fellow travelers. Gathering session was started by Diyan, the first presenter sharing story about his hometown Payakumbuh, West Sumatra. Six other presenters then sharing stories about various wonderful places, from Bandung to Lombok, Soroako to West Australia. The gathering session finished at sundown. Wego team brought us all to Braga Culinary Night. Nah, BCN is weekly event at Jalan Braga where you can taste various local culinary every Saturday night. There were some of local booths selling similar snacks like grilled sausage, seblak or cimol. No wonder, those three are now the most popular street food in Bandung, you can also find them in other cities like Bogor as well. At BCN, I had a 20 cm grilled sausage for snacking. As for meal, I tried the famous Nasi Goreng Rendang from Rendang Nenek. Both are delicious, totally recommended. It was a super fun Saturday in Bandung. 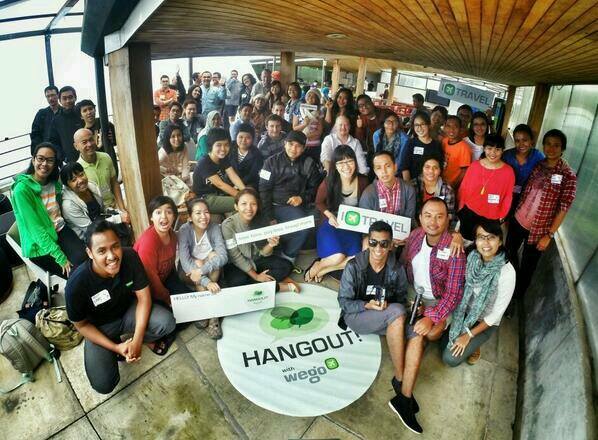 Thanks so much Wego team for inviting us. Please please do another Wego hangout outside Jakarta. Well, Lombok perhaps?